Greetings! A Christmas Revelation by Anne Perry along with A Wrench in the Works by Kate Carlisle come out on November 6. Wreath Between the Lines by Daryl Wood Gerber and A Vintage Death by Mary Ellen Hughes release on November 8. There are many delightful new novels coming out in November. 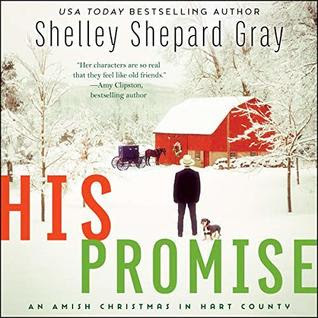 His Promise by Shelley Shepard Gray is the sixth tale in The Amish of Hart County series. Grace King is pet sitting, Snooze while his owners are on vacation. She is enjoying the quiet time away from her large and rambunctious family, but Grace had not anticipated so much of it. Her grandparents came down ill with the flu so her whole family packed up and headed to Ohio to take care of them and spend the holidays together. Grace’s best friend, Jennifer and her family have also left town for the holidays. Grace is out walking Snooze when he darts off. She is hunting for the little rascal when Grace encounters John Michael Miller who lives next door. John Michael had courted Grace’s sister, Beth three years ago and left her with a broken heart when he ended the relationship abruptly. Grace had been sixteen years old at the time when she was quite smitten with John Michael and did her best to keep her feelings under wraps. John Michael (what a mouthful) is a fire fighter for Hart County Fire Department and helps his parents with their farm during his downtime. He broke up with Beth when he realized he was courting the wrong sister. After helping Grace locate Snooze, he walks her home where they see strange footprints in the snow that circle the house. John Michael is worried about Grace’s safety especially with the number of questionable fires in the area and suspicious robberies. He is not about to let something happen to Grace now that he has reconnected with her. Will a dangerous situation lead to a happily ever after? Christmas is a time for miracles. His Promise is a part of The Amish of Hart County series, but it can be read alone. I thought His Promise was well-written with steady pacing. Grace is a kind yet naïve woman who has a pet sitting service. She is the quietest member of her family and, while she loves her family, she needs some time alone now and then. Grace’s generosity comes pouring out of the pages as she goes out of her way to help someone in need. John Michael felt he at home with the King family, but he felt he needed to stay away after he broke things off with Beth. John Michael now realizes that he handled the breakup of his relationship with Beth incorrectly (he was too abrupt). John Michael is a firefighter which is a dangerous and unusual professional for someone who is Amish. Some of the Christian themes prevalent in His Promise are honoring God, prayer, have faith, helping others and all things are possible with God. The Christian elements are woven into the story seamlessly. His Promise has a lovely ending that readers will appreciate. I did not understand why John Michael nor Grace ever spoke with their parents, a deacon, or the Bishop when someone in their community needed assistance. I like that they were helping the individual, but it was not a long term solution. Part of the Amish culture is the sense of community so this seemed out of place. I am giving His Promise 4 out of 5 stars. There are recipes at the end of the book along with discussion questions. His Promise contains romance, suspense, mystery, faith, family, generosity, a cute dog, and the spirit of Christmas. 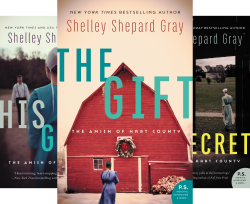 The other five novels in The Amish of Hart County are The Gift, His Guilt, Her Secret, His Risk and Her Fear. Thank you for joining me today. I hope you will stop by tomorrow to see which book I decide to discuss. 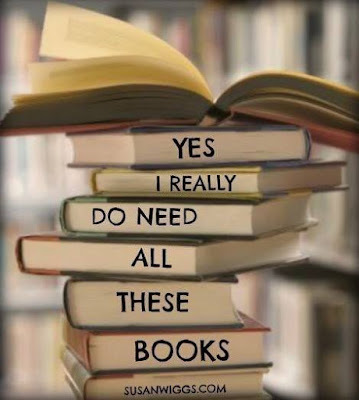 Please feel free to leave your comments below on what you thought of the books I am featuring or if you have books to recommend. I hope you have a stupendous day. Take care and Happy Reading!